Although the introduction of fluoride into Australian water supplies in the 1960’s has significantly improved the oral health of the population and reduced rates of decay, it has also meant that decay does not become as evident to the dentist. Instead of the decay forming an open cavity which would be easily detected, the decay now tends to start inside a tooth below the enamel. This is because the enamel is so hard and insoluble the bacteria and saliva can get through at the very fine crack on the surface, called the fissure and decay the softer portion of the tooth inside called the dentine. Fissure Sealants are effective in preventive dentistry and in the case of children can be essential treatment. Studies have shown sealants to be effective, easy-to-apply, inexpensive and non-toxic. Fissure sealants are a safe and painless way of protecting your children’s teeth from tooth decay. It is a plastic coating which covers the chewing surfaces of the back adult teeth. The sealant forms a hard shield that keeps food and bacteria from getting into the tiny grooves in the teeth. Most tooth decay in children occurs in the back teeth. How are fissure sealants applied? It is quick and straight forward taking only a few minutes per tooth. A dentist or dental hygienist will clean and prepare the tooth with a special solution. The tooth is dried with air. The liquid is then applied and set hard using a special light. It is pain free. Can sealants be seen on the teeth? They can be clear or white in colour. Because they are on the back teeth, they cannot be seen when a child talks or smiles. They can last for many years and the dentist may check them at each check-up visit. They can wear over time and the dentist or dental hygienist may add or replace some sealant. Do children still have to clean their teeth? Yes. Sealants are only one part of a child’s preventative dental care. 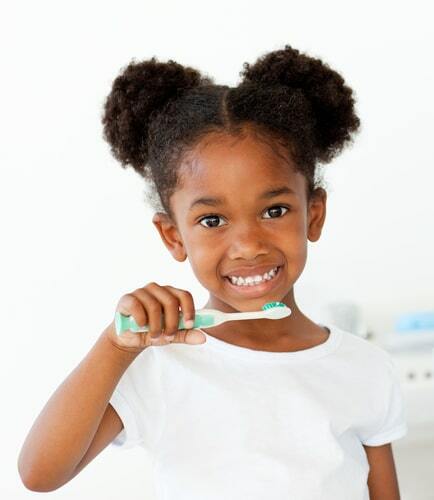 It is still important that teeth are brushed twice a day with fluoride toothpaste. The sealed surfaces will now be easier to clean when brushing. It is also important that children don’t eat a lot of sugary foods and drinks especially between meals. These should be kept as treats or for special occasions. What do fissure sealants look like? Tooth with NO fissure sealant. Tooth WITH fissure sealant Fissure sealants are only one way of helping to prevent tooth decay. -Brush teeth and gums every morning and night. -Use a pea size amount of fluoride toothpaste. -Brush for 3 minutes (the length of a song). -Don’t eat a lot of sugary foods and drinks especially between meals. Keep these foods as treats or for special occasions. -Make sure you keep your dental appointments. Please call our team at Dental 359 on 1 300 625 625 or email us on smile@dental359.com.au to book your examination appointment.